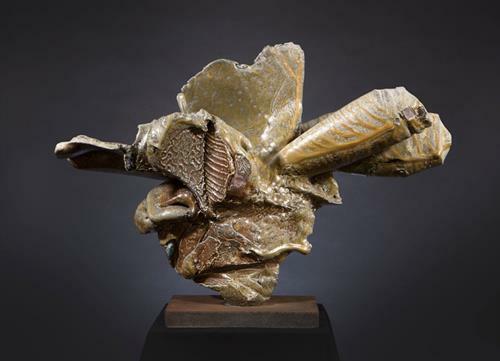 The exhibition, Living with Clay: The Julie and David Armstrong Collection, curated by Rody N. López, will be on view January 18 through April 20, 2019 at the Claremont Museum of Art, located in the historic Claremont Depot at 200 W. First Street. The opening reception will be on Saturday, February 2 from 6:00 to 9:00 p.m. The museum is open Friday, Saturday and Sunday, noon to 4:00 p.m., and on Art Walk, the first Saturday of every month, from 6:00 to 9:00 p.m. For more information, visit www.claremontmuseum.org. Staged to simulate the manner in which Julie and David Armstrong display their collection in their home, alongside paintings and furnishings, the exhibition reveals the integration of art in their daily lives while also saluting the collectors’ taste, ideas, and the uniqueness of their vision. Within the walls of a public museum, thus, we are given a taste of the private environment of two dedicated, knowledgeable, and highly influential collectors. The exhibtion opens January 18, 2019 and runs through April 20, 2019. Free for members and children under 18.